They’re cute and they’ll become your best friend, but not all dog breeds are easy to train. When looking for your first dog, it’s a good idea to take trainability into consideration, especially when it comes to larger breeds. A big, untrained dog can quickly get out of hand, and sadly, lack of training is a common reason many pets end up in shelters. Whether it’s due to stubbornness, their natural tendencies, or just needing more patience and practice, these are 12 of the more challenging breeds to train. Though he’s a “bully,” he’s actually a very loving and sweet breed. 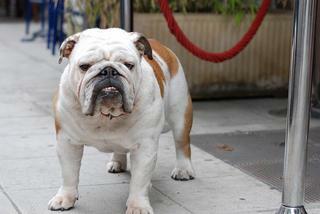 A bulldog will enjoy being your lazy cuddle buddy, but he’s a very slow learner. This breed tends to be stubborn and independent, meaning he’ll need some extra motivation to work on training commands. He can be sensitive to discipline, so he needs positive training methods and structured consistency. 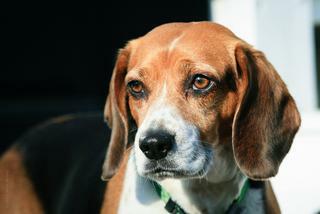 The energetic beagle has a short attention span due to her incredible sense of smell. If she catches onto a good scent, she’s done listening to her pet parent. Due to following her nose, another consideration for beagle pet parents is the risk of wandering away from home and getting lost. Beagles are very vocal and like to dig, both traits that require early and consistent training to manage. Without solid leadership, this stubborn and dominant breed likes to be the one in charge. They can also be aggressive towards other animals if not properly socialized from puppyhood. Chows are not the quickest learners, so they need firm and consistent guidance to learn obedience and keep them in check. However, once they bond with their pet parent, they are loving and loyal companions. 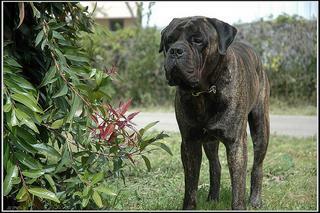 An untrained bullmastiff is like a bull in a china shop. Due to their full-grown size, early leash training is a must with this breed. They can be stubborn and independent, not taking orders from just anyone, so they need strong leadership to take to training. Originally bred to be guard dogs, this massive breed requires lots of early socialization to make sure they get along well with other dogs and strangers. 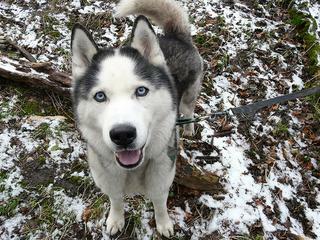 In order to pull a sled, a husky needs to have high energy, drive, and determination. However, these traits can be a recipe for disaster without the right leadership. This independent and active breed thrives when he has a job to do. Left to his own devices, a bored husky will act out and can become destructive as he invents his own entertainment. Many Afghan lovers describe the breed as cat-like in that she has a mind of her own and will do as she pleases. The Afghan hound is intelligent, but unlike other dog breeds, she has little desire to please her pet parent, which means it can be difficult to motivate her during training. The next challenge with this breed is getting training to stick—she needs regular refresher courses to maintain obedience. The basset hound has two modes: lying around and trailing a scent. This dog was bred to follow his nose, and this instinct runs strong. That said, he isn’t very motivated to participate in training activities with his pet parent. Raising a well-behaved basset hound requires dedicated consistency from puppyhood with a particular focus on leash training. 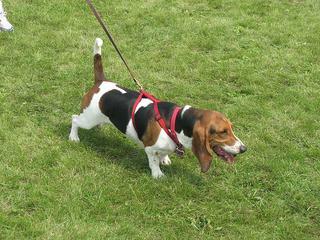 Though he doesn’t seem big, the basset is heavy with a low center of gravity, so a leash puller could be difficult to control. 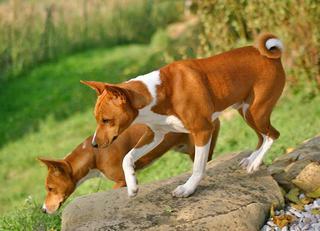 Be sure to know exactly what you’re getting into before bringing home a Basenji. This stubborn and independent breed is not among the dog breeds who are eager to please their pet parent, which means training can be a challenge. Even after learning a command, he can have “selective hearing” if something else is more interesting than what you’re asking him to do. 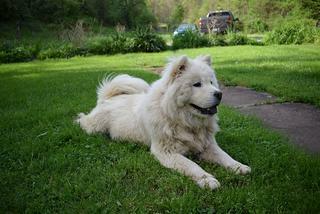 This breed tends to chew and is often described as an escape artist, even with fenced yards. 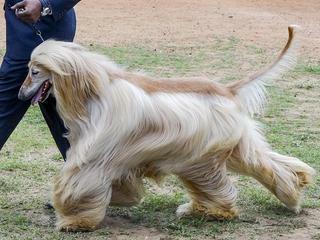 The iconic detective’s companion was bred to trail scents. Being that there are other scent hounds on this list, it shouldn’t be a surprise that the bloodhound is another challenging dog breed to train. 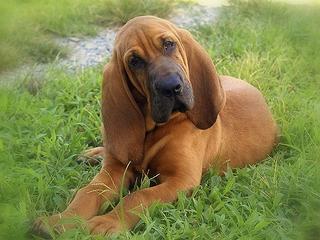 Bloodhounds tend to be stubborn, single-minded when they catch onto a scent, and are not very motivated to please their pet parent. This combination means they need strong leadership, patience, and dedication when it comes to training. She’s a small, cute and fluffy lap dog, but don’t be fooled by her appearance—the Pekingese tends to be stubborn and wants to run the show. 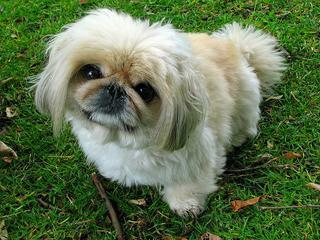 This breed needs a pet parent who will establish dominance, but also has patience since Pekingese are slow learners. She doesn’t respond well to discipline, so your Pekingese will fare best with reward-based training. 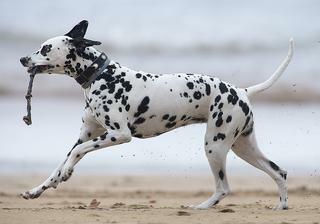 Full of energy, the Dalmatian is a great companion for an active pet parent. Without enough physical and mental stimulation, she can become aggressive and destructive, chewing up your furniture or favorite pair of shoes. This breed can be stubborn and needs an experienced pet parent who will take charge and establish firm leadership. The lovable and comical pug is everyone’s friend but has a very short attention span when it comes to training. 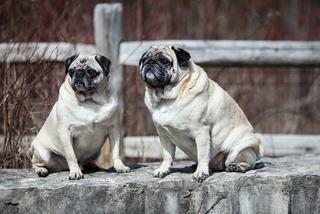 Pugs need to be trained early not to bark, and this food-motivated breed does best with reward-based training. Patience and positive, consistent training go a long way, but try to avoid discipline or harsh training with your sensitive pug. Just because a dog is more difficult to train does not mean it’s impossible. With dedication and patience, any dog can be well trained and well behaved. Curious which dogs are easy to train? Check out our list of the easiest dog breeds to train!